Fruit & Vegetable Smoothies Have Arrived! We’re beside ourselves with excitement to introduce our brand new Fruit & Vegetable Smoothies. 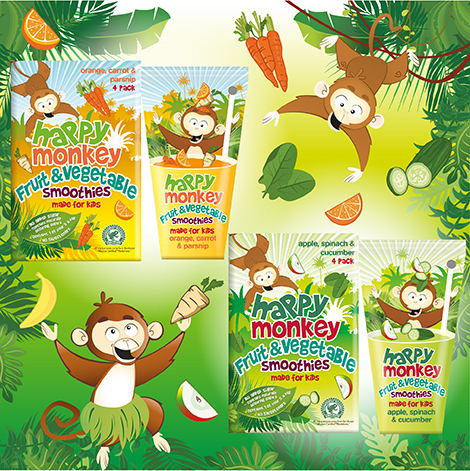 They come in two incredible flavours – Apple, Spinach & Cucumber and Orange, Carrot & Parsnip – and contain all the usual healthy goodness you’ve come to expect from Happy Monkey smoothies. Give ’em a try now and let us know what you think – available in Asda.